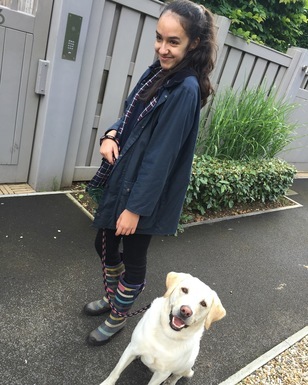 Hiya, my name is Daisie and I'm hoping to study Vet sciences at University. I'm currently studying Chemistry, Biology, Music and Maths . I have grown up with dogs my entire life but am currently without! I've also had experience with horses, farm animals and smaller house pets. I have a large flat in Kensington and i live right next to Hyde Park - perfect for walks. I'd absolutely love to get to spend time with any dog this summer so please let me know if I am able to help!